Just finished reading The Shade of the Moon by Susan Beth Pfeffer, 4th in her Life As We Knew It series. Talk about dystopian! What is so scary about this one is that it is way too easy to see how it could happen following any kind of apocalyptic event. The event that created the epic disaster for this series was a meteor colliding with the moon and changing its orbit. I never read the first book but did read The Dead & the Gone and The World We Live In. 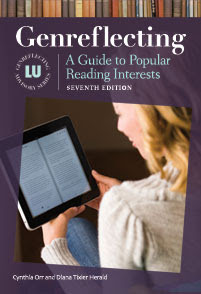 They are compelling reads enjoyable even without the benefit of reading Life As We Knew It. They are adventure stories of survival and how the characters are shaped by a drastically changed world. The Shade of the Moon is set 4 years after the moon moving event. Jon is living in Sexton, an enclave where there is sufficient food due to factory greenhouses. The clavers work or go to school six days a week. Teens there have some kind of non-messy job after school. Jon's is playing soccer. So he has practice everyday and on Sundays his high school team travels to take on other teams. The messy work, farming, cooking, cleaning, manual labor in Sexton is done by grubs. They live in grubtowns. The one that supplies Sexton with domestics and laborers is called White Birch and it is where Jon's mother, sister, and brother-in-law live in a tiny apartment with no locks because grubs aren't allowed to lock anything. Jon is what is called a "slip" meaning he doesn't have value himself to be a claver but he, his stepmother, and his baby half-brother had a permission slip to live in an enclave. Jon, who was spoiled to begin with starts seeing life differently when Sarah, the daughter of the new doctor, starts attending the high school in Sexton and points out the unfairness of the dichotomy between clavers and grubs. Bad things are going to happen in this dark book but Pfeffer leaves the reader with the feeling that if individuals choose to work hard and do right, things will get better. 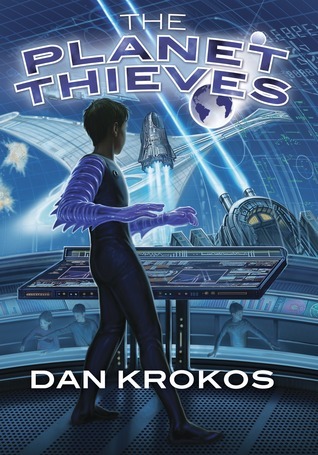 Planet Thieves by Dan Kronkos is a different can of beans. It is an action packed space adventure that has lots of appeal for younger teens and sf fans who like Star Trek, Star Wars, and Ender's Game. Thirteen-year-old Mason Stark, a cadet on a training mission aboard the SS Egypt, is on the bridge working on a prank to play on his sister, a ship's officer, when they are attacked by an enemy Tremist ship. The Tremists are a big unknown even though they experienced first contact several decades earlier. They wear some kind of armor and their faces have never been seen, always covered by a reflective shield. Great fight scenes, good buddy stuff including Mason's best friend who is a girl, and an unanticipated foe. I love books with earnest young heroes. Thinking about it, it had some similarity in feel to Timothy Zahn's great Dragonback Adventures and to some of Heinlein's so called juveniles.